Sony is doubling-down on games this year, judging from its E3 keynote, showing off some eye-popping game trailers. Despite hardware taking a back seat to software, Sony did talk up a Wonderbook device and showed how its PlayStation Vita will enhance game play on popular and new game titles. In all, I like what I saw, but was craving more game and title release specifics. Sony opened its E3 2012 press conference with an appearance by Quantic Dream’s David Cage, the critically acclaimed developer behind Heavy Rain. 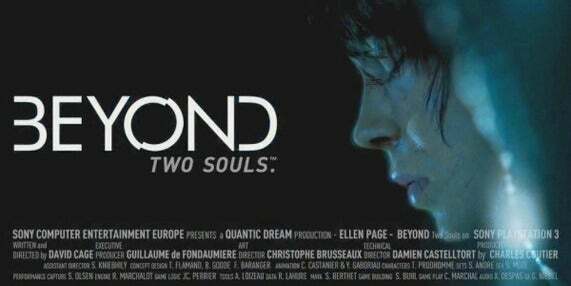 Cage announced that his studio was working on a new PlayStation 3 game called Beyond: Two Souls, which places players in the shoes of Jodie Holmes, a young woman (played by actress Ellen Page) with paranormal abilities and a mysterious past. While Cage didn’t mention any significant details about the game (like price, release date, etc. ), he did show the audience an extended clip of in-game footage, setting the tone for Sony’s showcase at E3 this year. With the exception of a new tablet controller and a few new PlayStation Vita features, Sony focused on software here at E3 2012. For further evidence of Sony’s software-centric approach to E3, the press conference continued with a live demo of PlayStation All-Stars: Battle Royale, a fighting game inspired by Nintendo’s Super Smash Bros. which features a roster of playable combatants culled from popular PlayStation franchises like Bioshock, Parappa the Rapper and Twisted Metal. 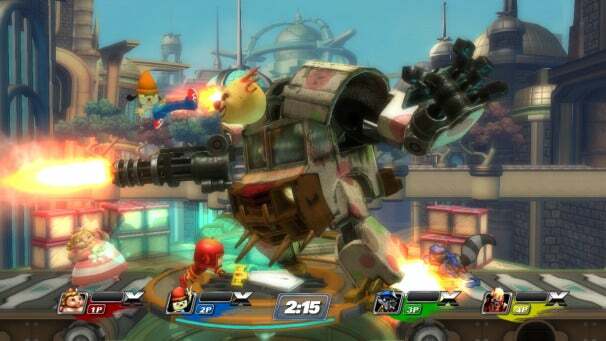 The game will be available on both PlayStation Vita and the PlayStation 3 and will be cross-compatible, meaning players on both devices can battle each other online. Sony President and CEO Jack Tretton kept the cross-platform train rolling by revealing that the upcoming PS Vita game LittleBigPlanet will support cross-platform play, and if you own both PlayStation 3 and a PlayStation Vita you will be able to use the Vita device as a touch-capable controller for playing and creating levels in LittleBigPlanet on PS3. In fact, the PlayStation Vita was a centerpiece for Sony’s E3 2012 press conference. Not only did we see a bevy of popular titles announced for the device (including Call of Duty: Black Ops Declassified and Assassin’s Creed III: Liberation), Sony also announced that Vita owners will soon be able to download streaming media apps for the YouTube, Hulu and Crackle services. As a nice bonus, PlayStation Vita owners will soon be able to play PSOne Classics on their device, though we have no word yet on whether you’ll be able to port over PSOne Classics you already own or will have to purchase new versions of the same games specifically for your Vita device. Sony also had some new hardware to show off at E3 2012. The Wonderbook is a Sony device designed to function as the physical embodiment of an interactive storybook displayed on your television. In practice, it looks sort of like a white plastic lapboard and works in tandem with the PlayStation Move camera and wand to let players play along with interactive storybooks. 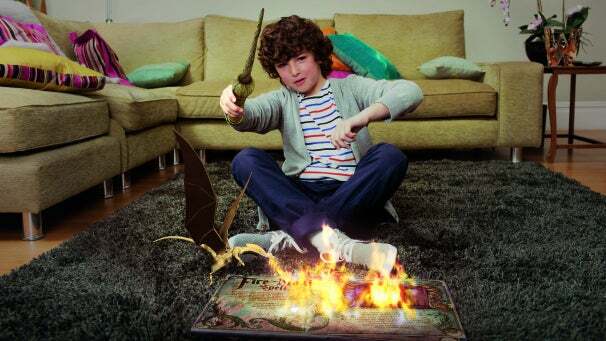 While Sony didn’t reveal too much info about pricing or how interactive the average Wonderbook adventure would be, they did confirm the inaugural Wonderbook adventure would be Book of Spells, a collaboration between Sony and noted British author J.K. Rowling. Book of Spells will be an interactive adventure set in the Harry Potter universe, and represents a partnership between Sony and Rowling’s Pottermore franchise. Remember the PlayStation Suite, that software development kit that Sony released to help developers bring PlayStation games to PlayStation-branded Android devices back in 2011? Neither do most people, which is why it’s no surprise that Sony is renaming the PlayStation Suite program and using it as a certification system to help talented developers release PlayStation Certified games on Android devices. The program has been renamed PlayStation Mobile, and Sony has partnered with HTC to release PlayStation Mobile games on HTC Android devices. Gameplay footage of God of War: Ascension was also shown during the conference. Kratos appeared upset about something. 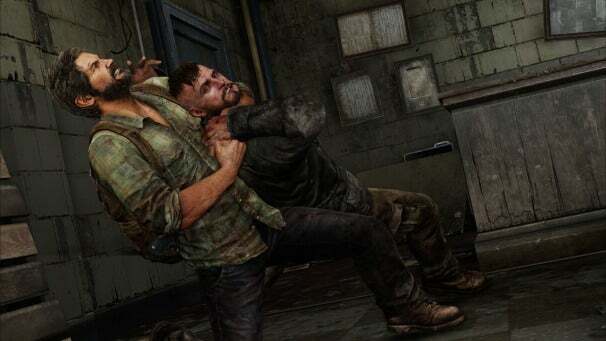 Gameplay footage from the PlayStation 3 game Last Of Us was also shown, and the post-apocalyptic survival game (from Naughty Dog, developers of the Uncharted franchise) appears to be surprisingly tense and terrifying. In a gaming conference dominated by action games full of blood, gore, and buckshot, Last Of Us stands out because it makes fighting with other human beings seem scary and dangerous. Unfortunately, Sony didn’t reveal many details about the products and services on display at their press conference this year, so we’ll be hitting the show floor this week and asking plenty of questions to find out how much of this event was just vapid hype. Look for more coverage of Assassin’s Creed III, Last Of Us and other big games as we walk the floor all week during E3 2012.